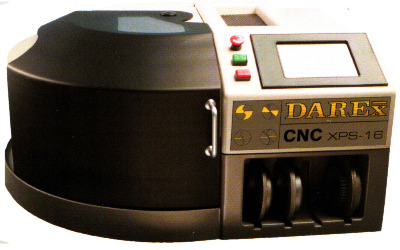 Expert drill sharpening service utilizing the Darex XPS-16 CNC Drill Sharpener. It can be programmed to sharpen an infinite variety of conical, four-facet, split-point and/or radius point drills. The XPS-16 can sharpen HSS and carbide twist drills from 1/8" to 5/8" (3-16 mm) diameter, 2" to 12" inches long, and angles of 90 to 150 degrees.